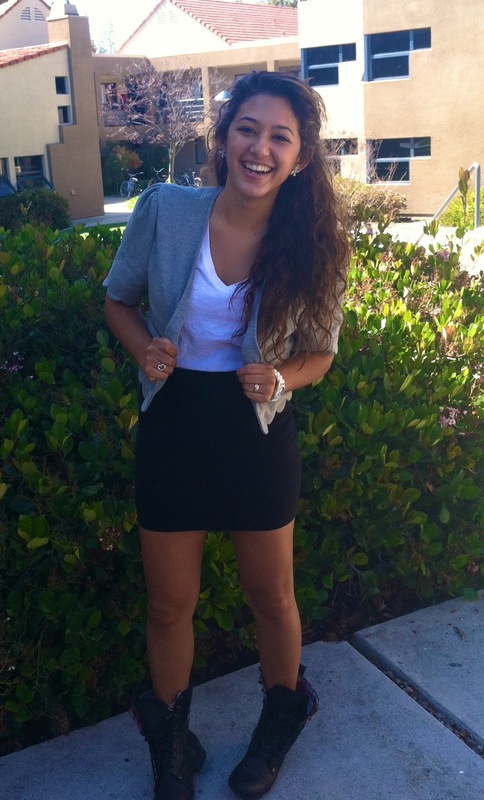 To kick off our Fan Page on Facebook, meet our intern Sienna, wearing our Reardon Jacket in Grey Heather. She paired it with a simple tee, black mini and her combat boots. We want to see your style, your personal touch, and how you make Chíché pieces work with your wardrobe. Send us your pics to: info@vergeapparel.com and we will post them! How do you dare to wear….Chíché?